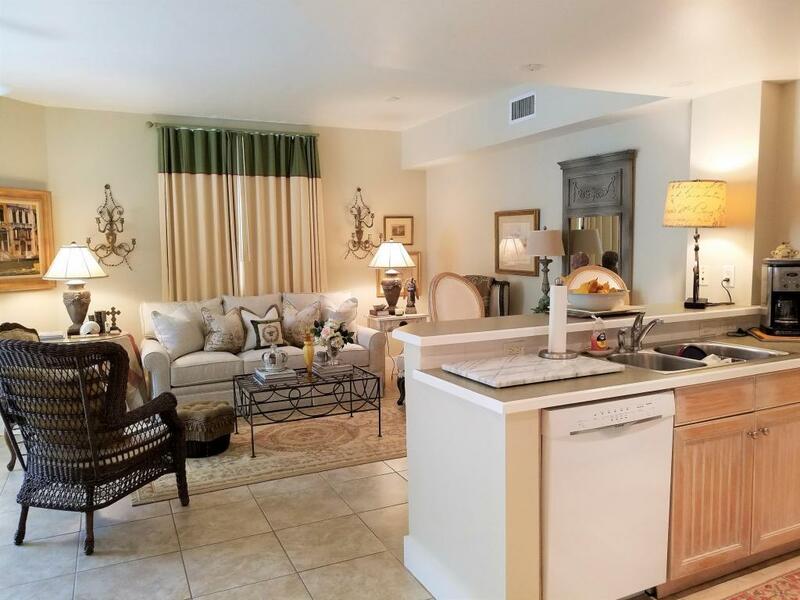 Welcome to your French retreat located in the Heart of Sandestin within The Village of Baytowne Wharf. Third floor with a large balcony shaded by tropical palms and located on the same level as the wonderful amenity terrace which boasts a resort style pool, hot tub, fitness center, and a beautiful lawn with a grilling area. This ONE OWNER condo is truly loved and has never been on a rental program. The interior is fully tiled throughout and is furnished (some exclusions apply) in a French style decor that stands out from the rest. Enjoy true destination resort living by being just steps away from the all the shopping, dining, and activities that The Village of Baytowne Wharf has to offer.